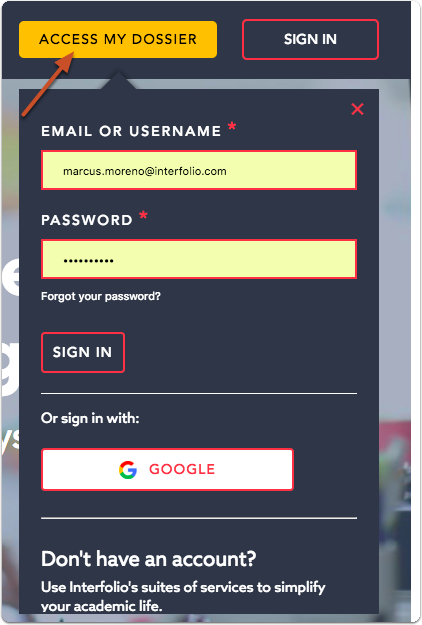 If you get a message that "an account with this email already exists" when you try to create an account by clicking the "Sign Up" button, you probably have an existing Interfolio account you have forgotten about. In that case you will need to contact our support staff, Scholar Services via phone or email. 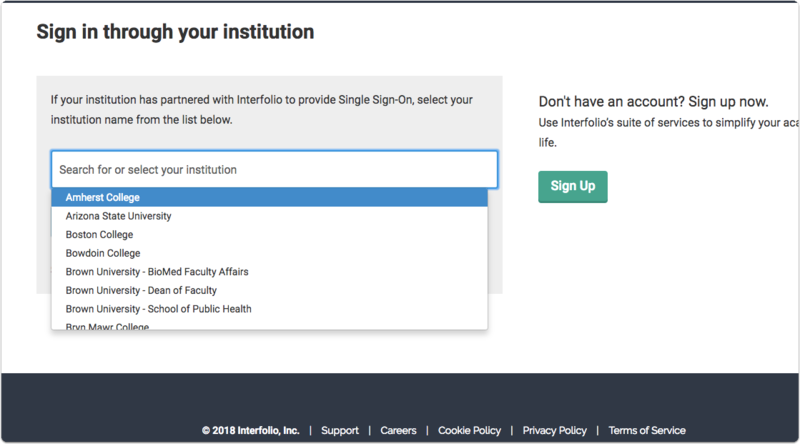 Follow the instructions below to sign in to your Interfolio account. Click on the link to expand the user guide that is relevant for you. 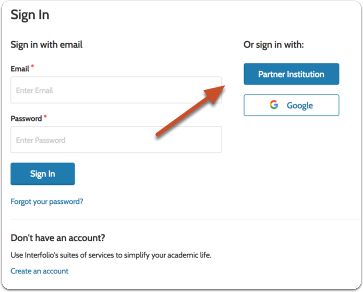 There are a number of ways to get to the sign in page; from our home page, a search engine, or maybe even your institutional SSO page, depending on your institutional setup. 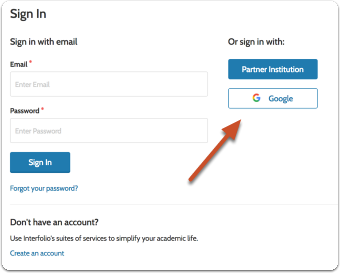 Note that you can sign in using your Google account or through one of our partner institutions. 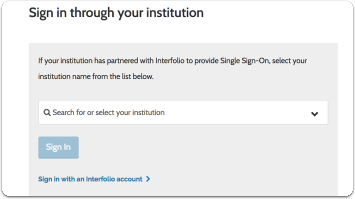 If your institution requires SSO, then you will be prompted to login to those credentials. Once on the sign in page, enter your email or username and password and click "Sign In"
Search for or select your institution from the dropdown and click "Sign In"
If you don't have a Google account, and you wish to use this method to login, you will have to make one at www.gmail.com (not affiliated with Interfolio). 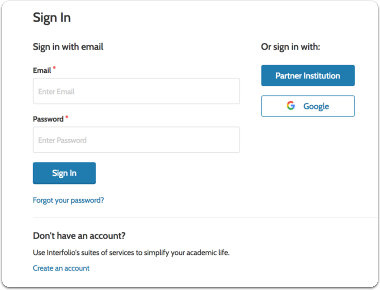 Some Faculty180 institutions have their own unique login URL, you can find it by locating your institution on our Partner Institution's page. If you cannot locate it here, and are not sure what the login URL, then please reach out to the administrator at your institution. Many institutions store this URL in an internal webpage for their faculty and staff.